Fantastic single-family, ranch-style home offers 3 bedrooms and 2 bathrooms. 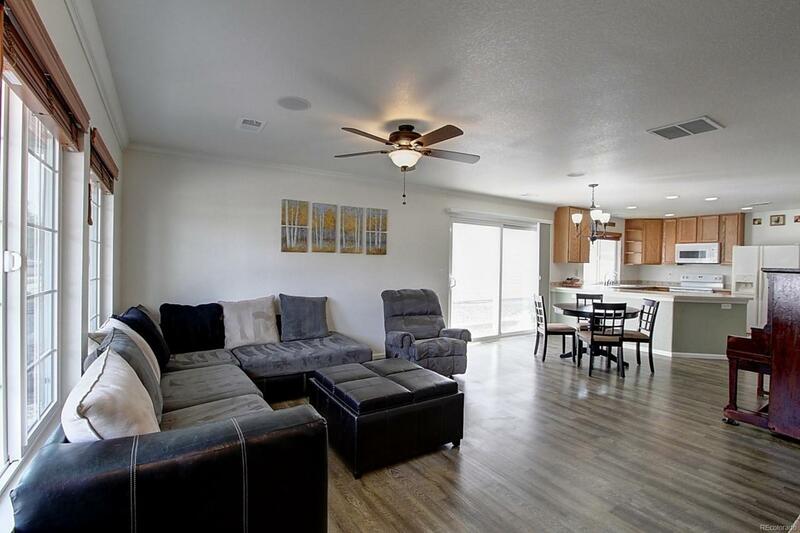 Main level has an open floor plan with gas fireplace, and laminate wood floors throughout. spacious kitchen with peninsula, appliances included. Great Laundry Room with pantry off the the kitchen! Master Bedroom features a private 5-piece bathroom and walk-in closet! Low-maintenance back yard is perfect for pets and kids! 2-car attached garage! Whole house water filtration and softener system, reverse osmosis for drinking/cooking water, and a platinum laundry sanitizing water system included, as well as a portable hydrogen water generator. The home also includes a ring doorbell camera and an additional ring camera over the garage. All appliances in the home are included, and vintage piano offered with the home. Great starter or forever home! Walk to schools, play park, golf course, and skate park! Only a 3 miles to the Lightrail! Call now to schedule your personal showing!